A couple of months ago I was gifted a lovely chile ristra by Annabelle Lenderink of La Tercera Farm. That same day, my friend Ellen came by and I shared some chiles with her. The next thing you know we’re scheming up dishes to make with dried chiles. It’s funny how one really special ingredient can spark an idea for an entire meal…and when that meal comes together effortlessly and becomes something so absolutely memorable that nearly two months later, I’m still thinking about it, the whole process can seem a little bit like magic. Valentine’s Day was the following week, and let’s just say neither of us were spending it with a special someone. So we figured we should have dinner together. 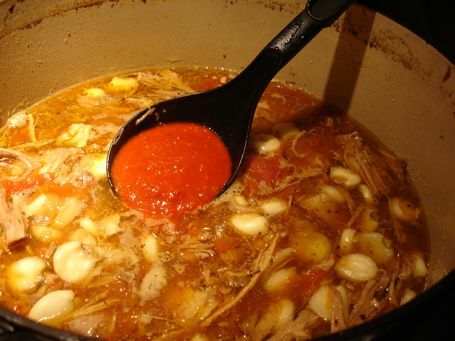 Ellen had the idea to make posole with trotters she bought at Marin Sun Butcher Shop. My job was to source the hominy, make the red chile sauce for the posole, bring a six-pack, and provide all the traditional posole garnishes. All easy enough tasks that I eagerly took on. 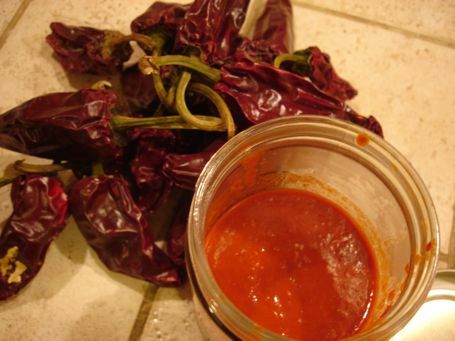 Of course I used the All-Purpose Red Chile Sauce recipe from DIY Delicious. I got the easy part of the bargain because, like magic, when I showed up with my contributions there was already a simmering pot of perfectly seasoned, porky broth on the stove. I know from experience that Ellen had to first buy the best pork she could find, simmer it slowly and strain it, balance its flavors, and keep an eye on it for the better part of a day. But, since I didn’t see any of that happening, it seemed like magic to me. It’s the same way with all the food we buy. It doesn’t just show up at the store or farmers’ market by magic. A farmer has to grow the crops; and workers have to tend and harvest them, and then pack them up. If it’s a chile ristra, someone has to dry the chiles and then string them carefully. If there’s meat involved, a rancher has to raise the animal, and get it to a slaughterhouse. A butcher has to break it down. To say nothing of what the animal has to give. So no, great food isn’t magic. It’s love. It’s art. It’s skill. But it’s not magic. Without the humans who raise and harvest the food, and the animals too, us cooks would be nothing. Use this sauce as enchilada sauce, or stir it into any soup that would benefit from a little kick. If you have some of this sauce and a good homemade chicken broth, you can make a great tortilla soup. 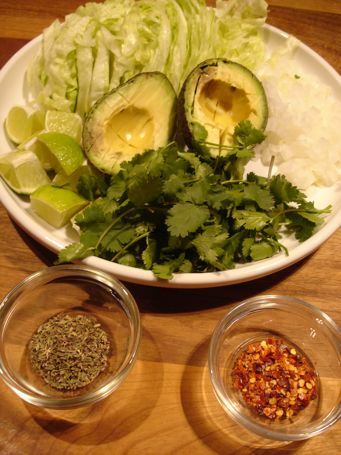 Just add avocado, cilantro, some shredded chicken, and fried tortilla strips. The depth of flavor it adds to a bean or lentil soup might surprise you. With scissors or a knife, slit the chiles up the sides and remove the stems and seeds. Bring a kettle of water to a boil. Heat a medium cast-iron skillet over medium-high heat. Open the chiles up flat and lay them down in the skillet in a single layer. You may need to work in batches. Toast them for about 30 seconds per side, holding them flat and turning with tongs, until fragrant. Don’t let them to smoke or they’ll turn bitter. Transfer the chiles to a small bowl and pour the boiling water over them. Push down to submerge them. Soak until soft, at least 15 minutes. In the same skillet, warm the oil over medium heat and add the onion, garlic, 2 pinches of salt and the oregano. Cook, stirring, until soft and fragrant, about 10 minutes. Turn off heat and leave undisturbed. When the chiles are soft, transfer them to a blender, reserving their soaking water, and add the sautéed onions, garlic, and enough chicken broth (or reserved chile water) to keep the mixture moving. Blend until smooth, adding additional broth or water as you go until the sauce is the desired thickness. Wipe the skillet to remove any onion or garlic pieces and pour the sauce from the blender into the skillet. Cook over low heat, stirring occasionally, until thick and smooth, 10 to 15 minutes. This will help tame the natural bitterness of the chiles and blend the flavors. Season with salt. Use immediately, or let the sauce cool. Transfer to a nonplastic container, cover, and refrigerate for up to 7 days, or freeze for up to 1 month. 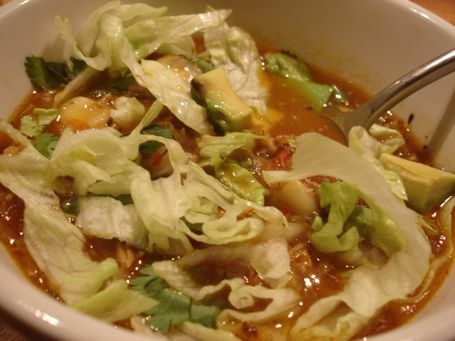 This entry was posted in DIY, Food and Drink, Latin American, from the market, hearty and tagged dried chiles, homemade red chile sauce, hominy, posole, red posole. Bookmark the permalink. Post a comment or leave a trackback: Trackback URL.